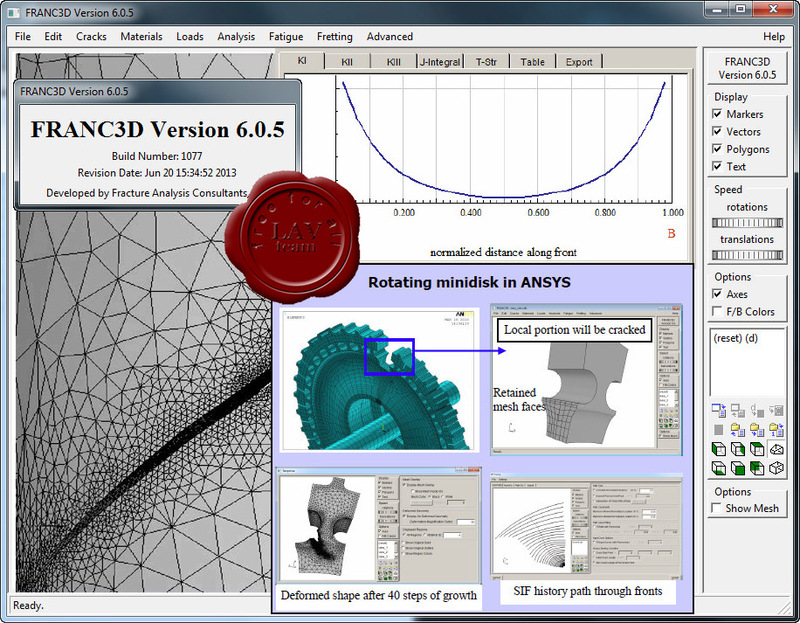 FRANC3D is a program that inserts and extends cracks and/or voids in pre-existing finite element meshes. This manual describes the components of the graphical user interface of the program. It also includes underlying theory and concepts where appropriate.